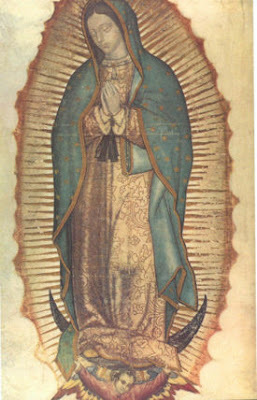 On Saturday, December 12th, the Feast of Our Lady Of Guadalupe, CatholicTV will air the Guadalupe Festival which took place in Glendale, Arizona. The festival includes footage of talks by Carl Anderson, music by Mexican pop star Alexander Acha, and a procession featuring the only relic in the U.S. of the actual tilma of Juan Diego. The Guadalupe festival will stream at www.CatholicTV.com and on CatholicTV where available from noon to 3PM & from 8PM to 11PM (EST). The Guadalupe Festival was produced by Salt and Light Television and the Knights of Columbus and is hosted by Salt and Light Television Director Fr. Tom Rosica. The festival was attended by more than 22,000 people. The festival video footage includes a talk by Eduardo Verástegui in which he discusses his conversion. He is best known for his star role in the movie “Bella”. “I had everything in my life, but in my heart, I had nothing,” Verástegui said. After feeling called to something greater, he decided that he would never work in anything that would offend his faith, his family or his Latino culture. Immaculée Ilibagiza also spoke about her reliance on Jesus and Mary after the Rwandan genocide of 1994. She attributed her survival during those days to prayer and praying the rosary which her father gave her.